The end-of-year event at 1, Bolshaya Dmitrovka Street is a breathtaking show, fun and games, creative outfits and carnival costumes. 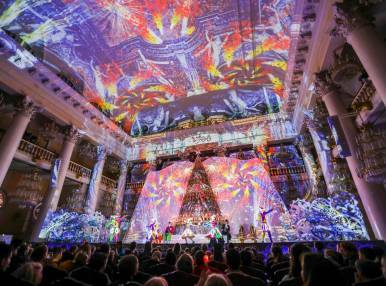 Even the ceiling of the Pillar Hall will serve as an awesome stage set turning into a screen for everyone to enjoy great historical pictures illustrating the three centuries of New Year celebrations in Russia. 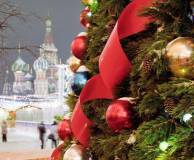 Visitors will travel back in time and see Peter the Great’s masquerades, a 19th-century Christmas fair and a Soviet New Year party. Immersion into the New Year traditions of our ancestors will be an enchanting multimedia experience for children and their parents alike.